The instruction and philosophy of the Adult Tae Kwon Do program at Flying Kick Fitness Center emphasizes the development of fundamental Tae Kwon Do techniques, a complete study of self-defense, and physical conditioning. The training consists of physical challenges which eventually give students a sense of accomplishment and the ability to persevere. The instructor relates to the student in a supportive manner, yet pushes him or her to strive for their greatest potential. The ultimate objective of Mr Al-Atrash and Flying Kick Fitness Center is that the students learn in a safe, challenging and enjoyable atmosphere, and that each student achieves their individual goals. 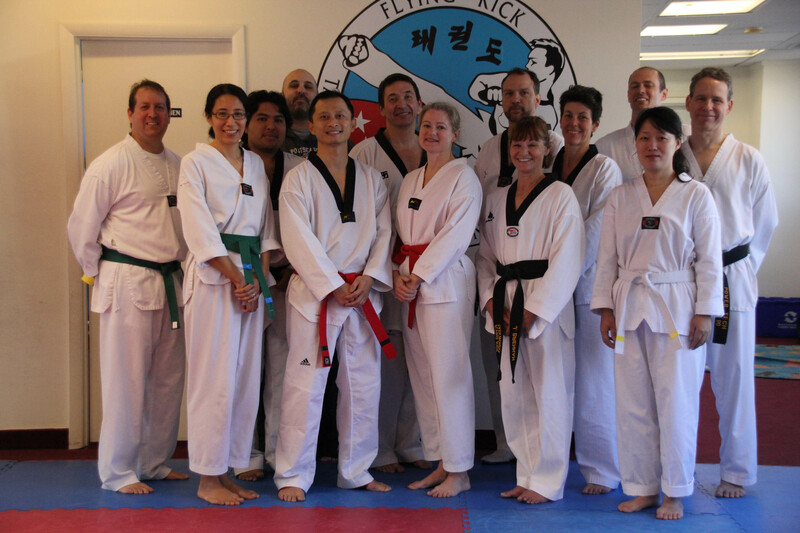 Tae Kwon Do is an ancient martial art that has been proven to be a practical method of self-defense in modern times. 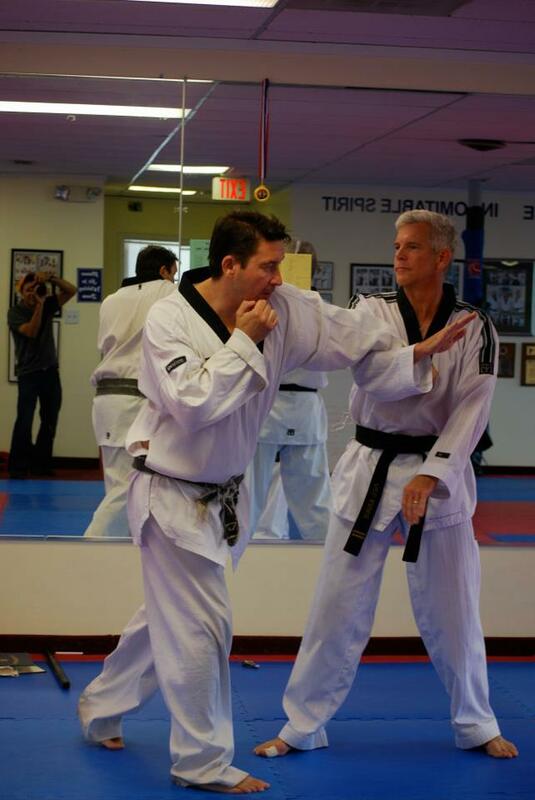 The study of Tae Kwon Do will develop fundamental knowledge of its physical techniques: punches, blocks, kicks, stances, forms, one-step sparring, and fighting. Tae Kwon Do is a compete martial art, giving students a greater understanding of their physical and mental capabilities. 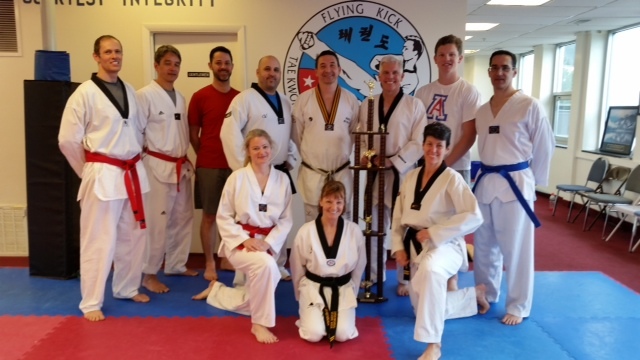 Regular training fosters an appreciation of Tae Kwon Do as part of one’s daily lie and as a sport / art. The Adult Tae Kwon Do program incorporates a realistic repertoire of self-defense techniques. These techniques include kicks, blocks, punches, jabs, and sweeps which are appropriate for “street” defense and other situations. We will teach how to defend against a variety of weapons. The basis of self defense is to educate adult on realistic self defense. Yet focusing on comfort and safety. Additionally, a major component of self-defense training is attitude. In class, students are taught to become aware and assertive, yet remain relaxed, in self-defense situations. Although training can be realistic and tough, it is undertaken in a safe and supportive atmosphere. 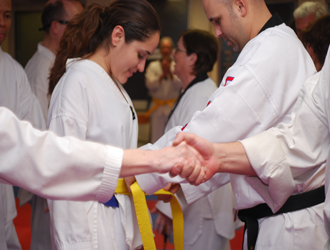 The conditioning regimen practiced in the dojang (studio) and encouraged outside of class enables the student to develop the strength and agility necessary to execute self-defense techniques properly. Finally, repetition and practice of the tecniques develop the reflexes and mental stamina necessary for them to be used confidently.